Engineering is an emerging field for women. Engineers solve problems that are important in today’s world, such as pollution, medicine, advanced technologies and exploration in space. Society will always need people who solve problems and come up with new ideas. Engineers work in teams with experts from many different fields and backgrounds. Engineers work everywhere in the world from large cities to wilderness areas. Engineering is often combined with other career fields such as medicine, business and law. Engineers earn significantly higher starting salaries than many other fields. To find out more about the benefits of learning more about engineering, visit this site. St. Joseph’s Academy offers four engineering courses, which are housed primarily in the Computer Science & Engineering (CSE) Department. The goal of the Computer Science & Engineering Department is to provide our students with courses that develop 21st century skills needed in all careers and college majors. We also offer a number of extracurricular activities related to engineering, along with several career presentation events which our students attend. Beginning with the Class of 2022, students will be required to earn 1.0 credit in CSE for graduation, with CSE Computer Science Applications being the freshman required course. An additional 0.5 credit in CSE is required for graduation. Four engineering courses are available, along with the computer science courses, which students can choose to fulfill that additional requirement or take as electives. Our newest engineering course, Principles of Engineering Design, will be a hands-on, project-based course which allows students to explore the engineering design process, while solving real world problems. Students in this course will work in collaborative teams using math and science skills, while designing engineering products. 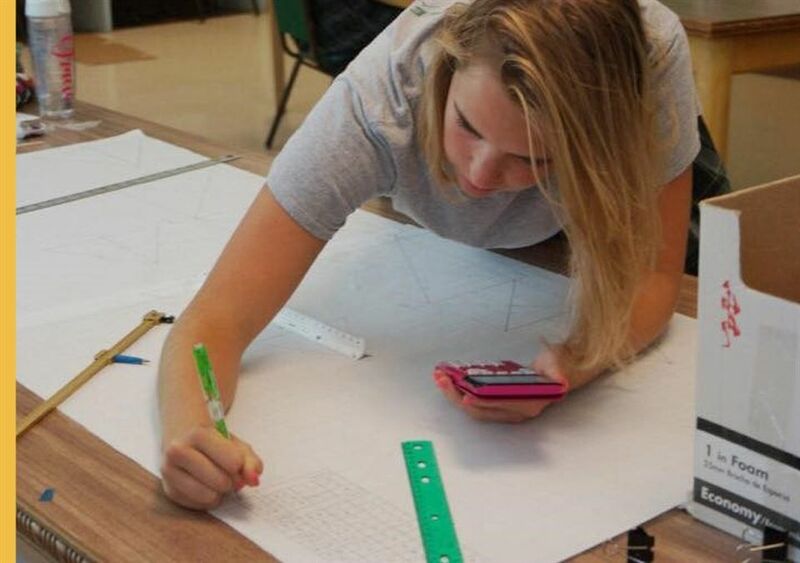 They will also develop their problem solving skills along with those used for researching answers and techniques for documenting their progress and communicating the results of their design testing. Enrolled students will become proficient in using electrical and hand tools, along with 3-D modeling software to craft their product. In addition, they will be introduced to the wide variety of careers available in the field of engineering. This course earns 0.5 credit and may be taken in sophomore, junior or senior year. The course assumes no previous knowledge of engineering, but students should have successfully completed Algebra, and Biology with a grade of “B” or higher. Robotics: FIRST Tech Challenge Engineering is offered to, but not required, of all students who are members of the JoeBotics team. Those students wishing to earn credit for this graded course register in February. The course is project-based and integrates physics, math, coding, teamwork, creative problem solving, and the engineering design process in the building of a functional FTC Robot which will compete in a number of qualifying events leading up to the State competition. Students will attend this course on Tuesdays after school from 3 to 5:30 p.m. and on 2-3 Saturdays per month from 9 a.m. - noon. each week during the Robotics season (September–March). Students are also expected to be present during competitions in which the team participates and to work at the “Robos at Joes” qualifying event held at SJA. Students will be graded based on their attendance and demonstration of the skills which they have acquired. This course earns 0.5 credit and may be taken each year. In Engineering Methods, students investigate engineering design and analysis software, 3D modeling and ro­botics to prepare for potential future study in engineering. 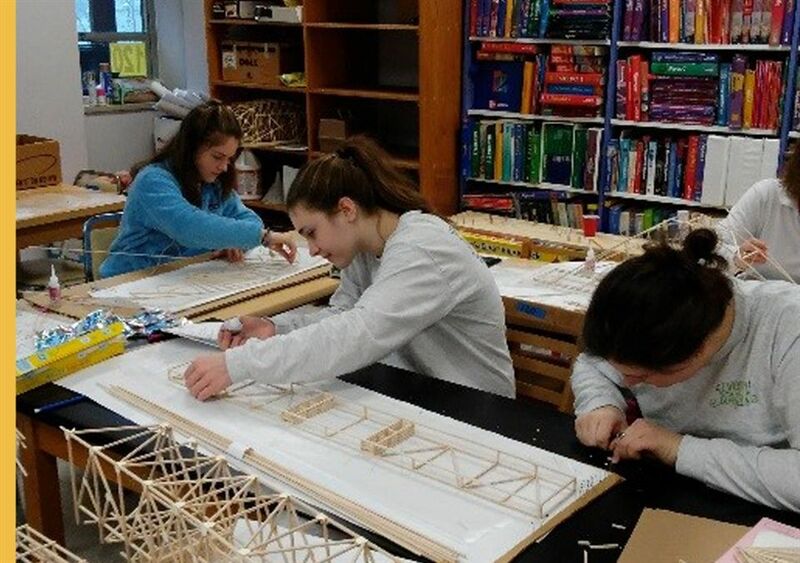 Students use programs such as SketchUp Make, AutoCAD, Solidworks, SciLab, MatLab, Android Studio and App Inventor to plan, model and enact solutions to engineering design problems. The course earns 0.5 credit and may be taken in sophomore, junior or senior year. The course prerequisite is the successful completion of Geometry or Honors Geometry. Engineering Design Applications is a double block project-based course which emphasizes critical thinking and problem-solving skills. The STEM approach will be used with real world applications to problems in biology, chemistry and physics. Engineering graphics and design soft­ware will be used when applicable. This 1.0 credit course may be taken by juniors or seniors who meet the prerequisites of successful completion of Chemistry or Honors Chemistry and Algebra II or Advanced Algebra II or Honors Algebra II or Pre-calculus. 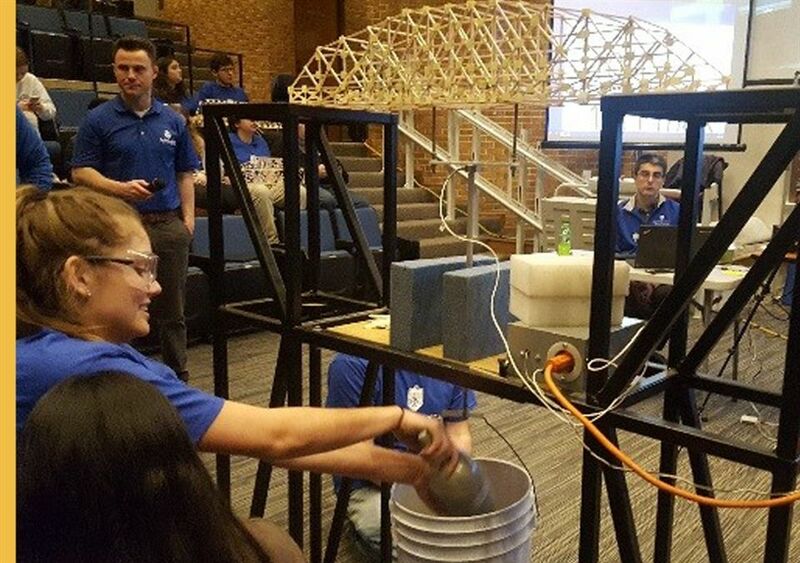 St. Joe participates in the St. Louis University Billiken BEAMS Bridge Building Competition. During the past school year, St. Joe sent seven teams to the competition. Each team, consisting of two or three members, is tasked with designing, building and testing a model bridge made out of balsawood and according to a set of design specifications set out by the Civil Engineering Department at SLU. 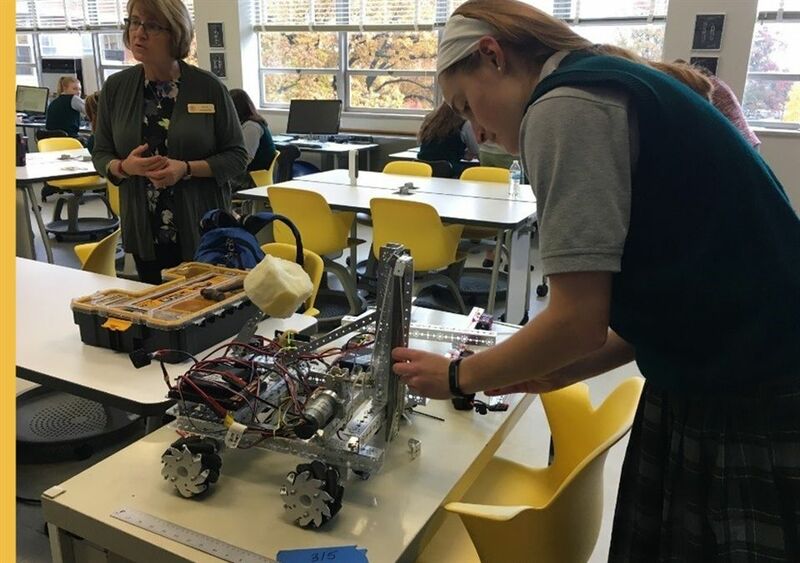 JoeBotics, St. Joseph’s Academy’s Robotics team, was established in the 2013-2014 school year and has competed for the past five years in the FTC Robotics competition. The team designs, builds, programs, tests and takes the field with a robot for each year's competition. The team and their robot have advanced to the Missouri State Championship in four of their five years of participation and have won numerous individual and team awards. The St. Joe Rocket Club was formed in the fall of 2004 in order to compete in the yearly, nationwide Team America Rocketry Challenge (TARC) contest involving 700 teams from around the country. Each year, TARC challenges each team to design, build and test fly a model rocket according to a different set of specifications and rules. If a team qualifies as one of the top 100 performing teams in the United States, the team is invited to participate in a final fly-off against the other qualifying teams in May at Great Meadows, Virginia, just outside Washington, D.C. Any St. Joe student can be a member of Rocket Club. The opportunity to participate in quarterly webinars, where engineers from various disciplines discuss the work that they do and resources that can help students to learn more about careers in engineering. The opportunity to participate in the SWENext Council, where students can take on leadership roles to influence the direction of the program. Our chapter of SWENext meets throughout the year at SJA, usually in tandem with the JoeBotics or Beta Chi Pi meetings. There are no dues and meeting attendance is not mandatory. In addition to these engineering clubs, we offer all students the opportunity to participate in events such as the November Lunch and Learn on Careers in Engineering, presentations on careers in civil engineering held at the October Beta Chi Pi meeting and careers in engineering presented by Boeing engineers held by the JoeBotics team. Our students also participate in “Introduce a Girl to Engineering Day” at Parks College of St. Louis University.